Firstly let me introduce Smoant here. Smoant is an integrative high-tech manufacturer specializing in the production, development, research and marketing of sub-ohm tanks and APVs. 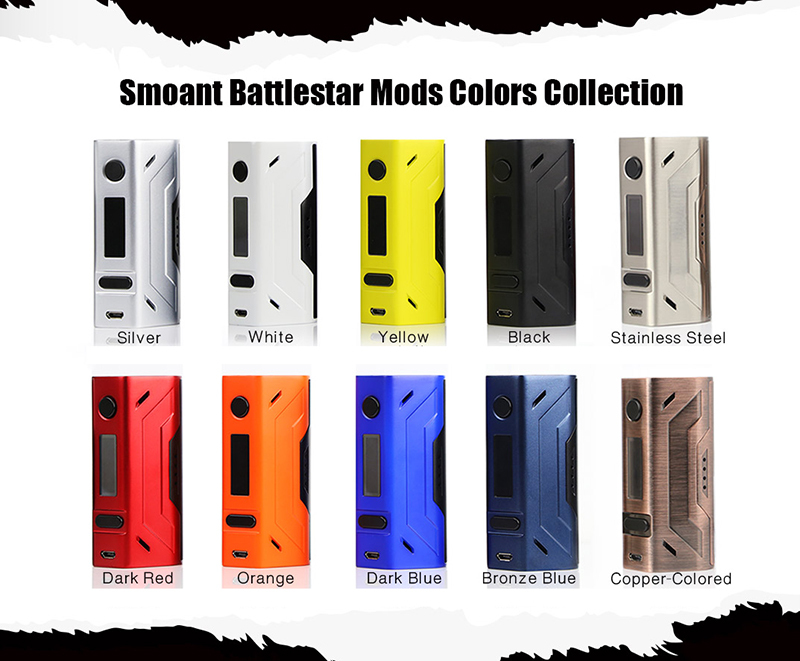 And here comes a new box MOD - the Smoant Battlestar 200W. Powered by 2*18650 batteries, Smoant Battlestar 200W has a compact size and ergonomic design. With excellent build quality, Smoant Battlestar suits both newbies and advanced vapers. Resistance down to 0.05ohm in TC mode, and supports different kinds of coils such as Nickel200, Titanium, Stainless Steel. The magnetic back cover makes it a breeze to replace batteries. Also you can charge it easily by USB port. And yes, there are so many different colors to meet your preference. Current time: 04-22-2019, 08:51 AM Powered By Myvaperforum.